In what may prove to be a major embarrassment for Narendra Modi’s Gujarat model of development, the Comptroller and Auditor General (CAG) of India has sharply criticized the state government for giving “undue benefits” to three of the biggest investors in Gujarat – Reliance, Adanis and Essar. The CAG report, which was tabled in the Gujarat state assembly, has particularly come down heavily on the Gujarat Maritime Board (GMB) failing to recover “full wharfage rate” between 2008-09 and 2012-13 from the Reliance Petroleum Ltd’s captive jetty in Sikka, Jamnagar. The CAG said, "Undue benefit was extended to Reliance Petroleum Ltd (RPL) by non-recovery of full wharfage rate after the cost of captive jetty (Rs 362.01 crore) constructed by it was set-off. Further, erroneous calculation of set-off value and application of incorrect wharfage rate resulted in short recovery of Rs 649.29 crore from Reliance Petroleum." RPL is the country’s biggest oil refinery, and its captive jetty has two single buoy moorings for captive consumption. As for the Adani Group, which has been sharply criticized for being closest to Modi, CAG has wondered how Mundra Port in Kutch district could be turned into Adani Port. Pointing out that the Mundra Port was actually planned under the join sector of public-private partnership, it has said, the Gujarat government did not follow competitive bidding process while disinvesting its stakes in the Mundra port. The Mundra port was jointly owned by the Adani Port Ltd and Gujarat Ports Infrastructure Development Company Ltd (GIPDCL), a special purpose vehicle of the Gujarat Maritime Board. Coming to the Essar Group, CAG said, the “change” of delivery point subsequent to finalisation of power purchase agreement (PPA) – which took place with the Gujarat Urja Vikas Nigam Ltd (GUVNL) -- led to passing of “undue benefit to Essar Power Gujarat Ltd for Rs 587.50 crore during the tenure of PPA” The PPA was signed in February 2007). CAG also noted, the change in the delivery point helped the Essar Power “save” Rs 52 crore, as it did not have to construct transmission lines, and saved another Rs 21.42 crore per annum as there “no line losses”. The agreement with the GUVNL was supplying 1,000 MW of power for 25 years. Just like the previous few years, this year, too, the Gujarat government placed the CAG report in the Gujarat state assembly on the last day of its session. 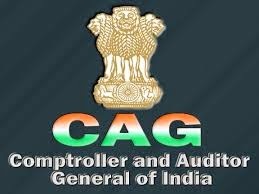 The tradition of placing CAG report, which has proved to be embarrassing for the government, on the last day began about more than a decade ago. Previously, the CAG report would be placed in the house soon within ten days of the beginning of the budget session. Not without reason, this has helped the ruling party evade any discussion on contentious issues mentioned in CAG reports. Apart from criticizing the Gujarat government of being soft to big business houses, CAG for its report ending March 2013 has simultaneously taken on the government for "lack of effective monitoring mechanism in prisons", which it said resulted in serious security lapses. The result was the excavation of a tunnel inside a yard of the Sabarmati Central jail in February 2013, dug by a group of 55 prisoners, all of whom were accused in cases of 2008 Ahmedabad serial bomb blasts at the Civil Hospital, killing about 30 persons. The CAG noted, "Out of the 26 Closed Circuit Television (CCTV) cameras installed in Sabarmati Central Jail in September 2007, 22 cameras were not working and system of taking footage had not been developed." It added, "Though there was shortage of 50 per cent of security staff for a long time and permission was granted by the government for recruitment of sepoys, the process for recruitment remained incomplete." "There were no watch towers surrounding the main wall of the old prison and the watch towers constructed inside were broken and abandoned. Binoculars and searchlights were not provided to staff on duty on the watch tower in test-checked prisons," the CAG said, adding, this was in against the norms worked out by the Model Prison Manual. The escape plan of prisoners came to light on February 2013 after the authorities found that a 218-feet long tunnel inside barrack No 4 of Sabarmati Jail had already been dug.